Wyatt Earp at age 21 in Lamar, Mo. Circa 1869-1870. The O.K. Corral shootout has become an iconic footnote in the history of the Wild West. Lawman Wyatt Earp, his brothers, and his faithful friend Doc Holliday faced off against a team of lawless cowboys who ran ragged through the frontier town of Tombstone, Arizona. It is a classic tale of cops and robbers in the Wild West. But movies and certain history texts have romanticized the 30-second shootout and perpetuated false facts. For one thing, some continue to debate whether the Earp brothers were truly noble lawmen who sought to tame the Wild West or merely brutal vigilantes who committed a small-town a massacre. But that kind of ambiguity between hero and criminal was exactly the atmosphere in which the Wild West was centered. Tombstone, Ariz., as photographed by C. S. Fly in 1881. Instead, Schieffelin found a silver mine that eventually produced over $37 million in profits. Wealthy merchants in the hopes of cashing in on the mine soon set up shop in Tombstone. The town was soon aglow with fine dining restaurants, opera houses, and a bowling alley. The O.K. Corral was one of eight liveries in the small town. Indeed, the streets of Tombstone were flooded with cash but they were also without a lawman to maintain order. 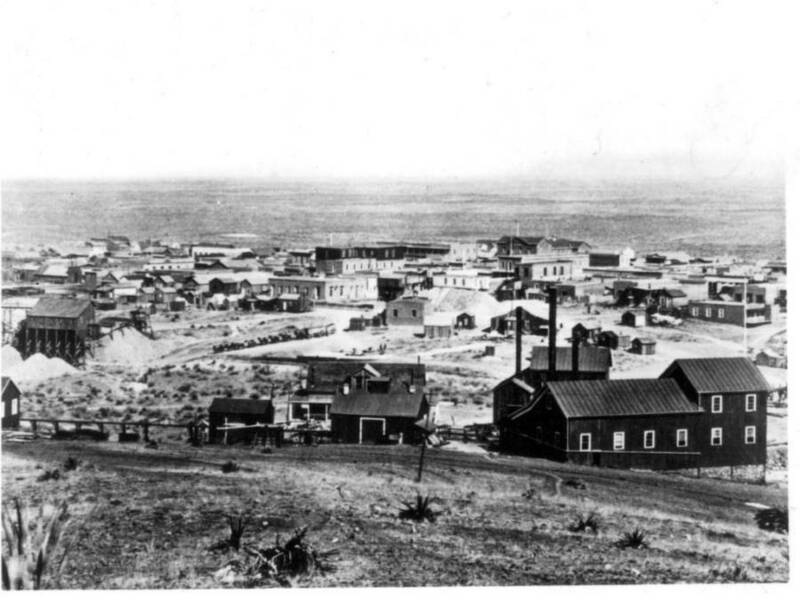 The budding metropolis attracted a dangerous crowd and became an easy target for rustlers and bandits. Tombstone was soon overrun with gambling houses, brothels, and violence. In December 1879, the brothers James, Virgil, and Wyatt Earp along with a gun-slinging ex-dentist named Doc Holliday rolled into town to administer their own brand of justice. 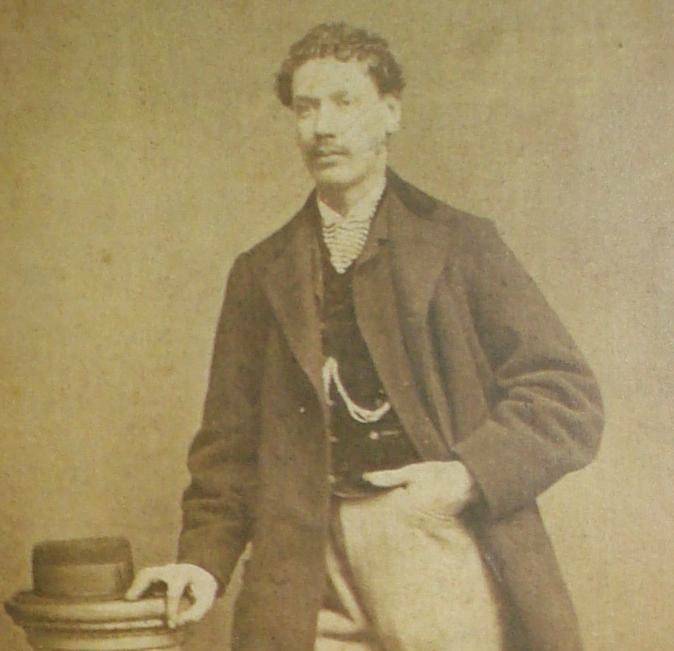 “Curly Bill” Brocius, the Cowboy who killed Marshall Fred White. Circa 1880. Wyatt Earp was an ex-lawman of his hometown in Missouri. When his wife died, Earp wandered the west and got himself into some legal trouble. He did eventually settle in Dodge City, Kan. where he became the city marshal. In 1879, he set off with a new friend he’d made in Kansas, Doc Holliday, to Tombstone with his brothers. In the Old American southwest, “cowboy” referred to an outlaw or a member of a gang of hard-drinking cattle smugglers and horse thieves. In Tombstone, that crew was known as the Cochise County Cowboys. The Cochise County Cowboys went from being a nuisance to the Earp brothers’ mortal enemies when one of their members accidentally killed the City Marshall, Fred White, on Oct. 28, 1880. Fred White and Wyatt Earp had been summoned to calm down a few drunk cowboys unloading their pistols into the night sky. White asked the men to surrender their weapons, and they complied, but a gun belonging to Cowboy “Curly Bill” Brocius accidentally went off and shot White in the gut. It was an accident, even Fred White would insist as much while lying on his deathbed, as did Wyatt Earp who defended Brocius on trial. But the death of Fred White saw Virgil Earp was named the new city marshal in his stead and with that, a new era came to Tombstone. 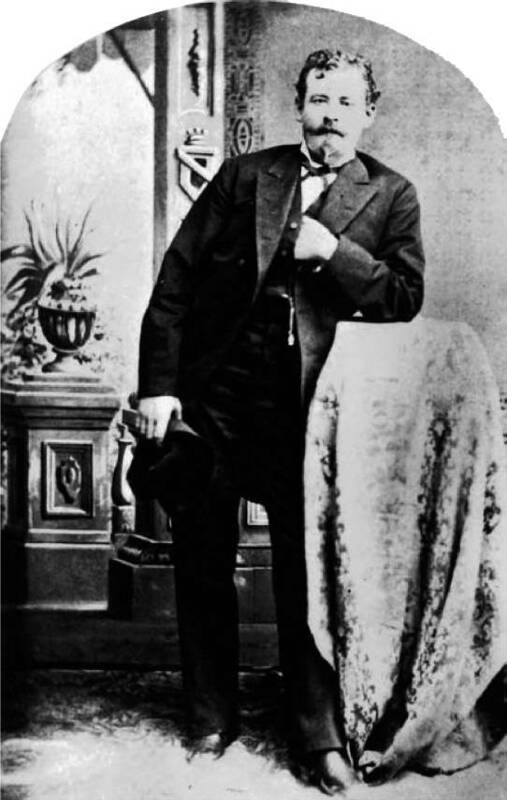 Ike Clanton, photographed by C. S. Fly, the man outside of whom’s building the showdown was fought. Tombstone, Ariz., 1881. Under Virgil, it was made illegal to carry any weapon within the town’s limits – a law that gave the Earps brothers just cause to arrest just about any cowboy they saw. Meanwhile, the county sheriff, John Behan, did little to bring thieving cowboys to justice. This angered the Earps, especially Wyatt, whose hopes to become county sheriff were dashed when Behan took the position. Wyatt Earp reasoned that he could gain some good publicity and a better shot at winning county sheriff next time around if he could prove himself. He struck a deal with with a rancher named Ike Clanton, who was close with the Cowboys, to bring the thieves to justice. In return for his insider info, Earp promised Clanton a $6,000 reward. The deal did not last long and when it dissolved, Earp was again left in the lurch. On Oct. 25, 1881 – the day before the gunfight at the O.K. Corral – Doc Holliday confronted Clanton in a saloon. The men fought viciously and later that day, Clanton tracked down Wyatt Earp and threatened him. 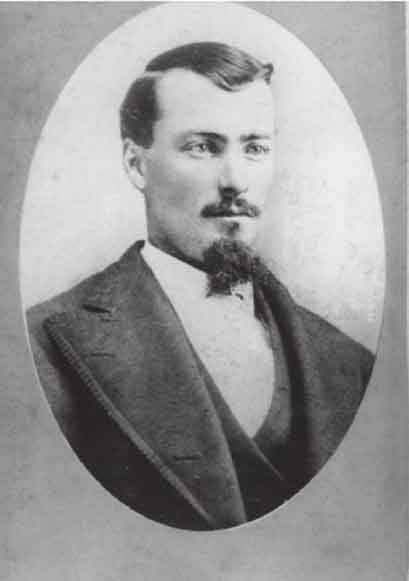 Frank McLaury, one of the Cowboys who allegedly participated in the Skeleton Canyon Massacre. Circa 1880. Around noon the next day, Virgil and Morgan Earp found Ike Clanton, who was drunk and yelling that he was looking to fight, and put him under arrest for carrying a weapon. Clanton, by most accounts, went willingly — after Virgil disarmed him with a pistol whipping. 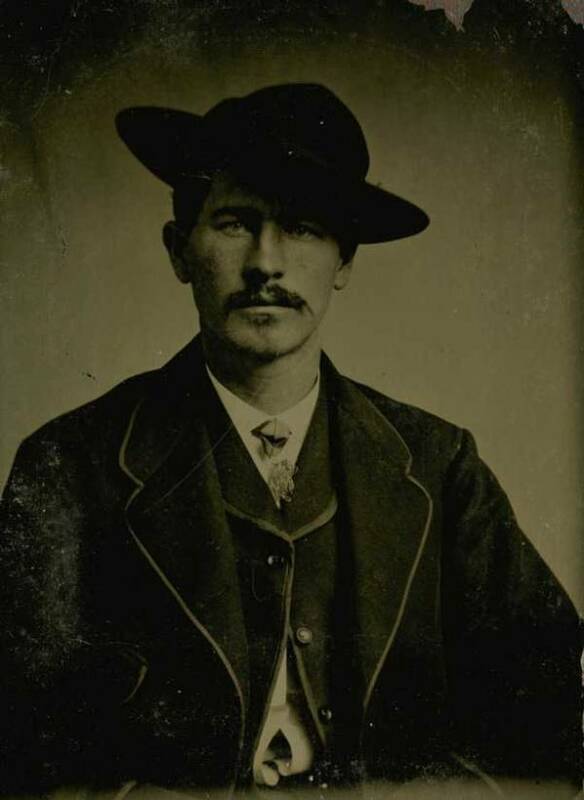 On his way out of the courthouse, Wyatt bumped into another Cowboy, Frank McLaury, and, finding he was carrying a gun, pistol-whipped him twice in the head and left him bloody on the ground. 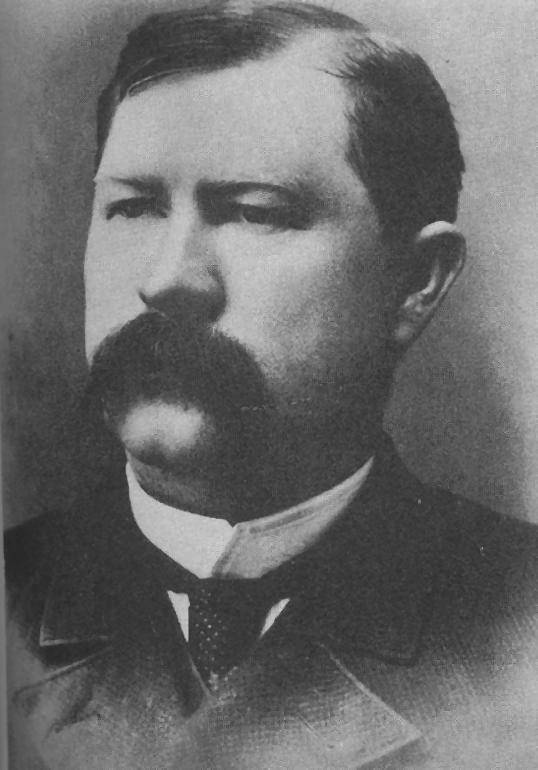 City Marshal Virgil Earp, circa 1880. Around 3:00 PM, the Earp Brothers along with Doc Holliday spotted five Cowboys loading up guns: Ike Clanton and Frank McLaury were part of the group, along with Billy Claiborne, Tom McLaury, and Clanton’s 19-year-old brother, Billy. The Cowboys then went off to plot revenge behind the O.K. Corral. Next, in a narrow, empty lot beside Fly’s Photography Gallery above the Corral, the Earps with Holliday came upon the Cowboys. 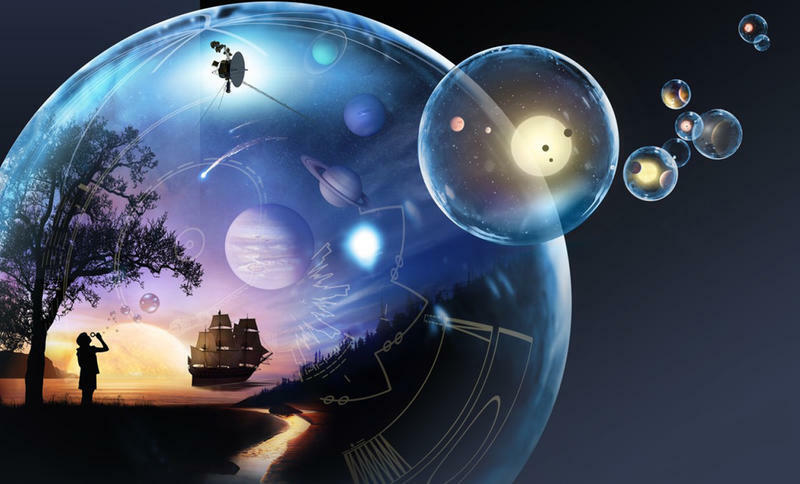 What transpired next, no one knows for sure. Both sides claim the opposing group fired first. No matter, Frank McLaury’s belly was shot and the man collapsed. Virgil then shot young Billy, who, even as he lay on the ground bleeding to death, shooting. Doc Holliday’s shotgun made short work of Tom McLaury and blasted through his chest. Ike Clanton and Tom McLaury were the only Cowboys who came out of the fight alive – and that was because they ran for their lives. 30 rounds were fired in a matter of 30 minutes behind the O.K. Corral. The Earps came out with a few scratches, but three Cowboys were dead. 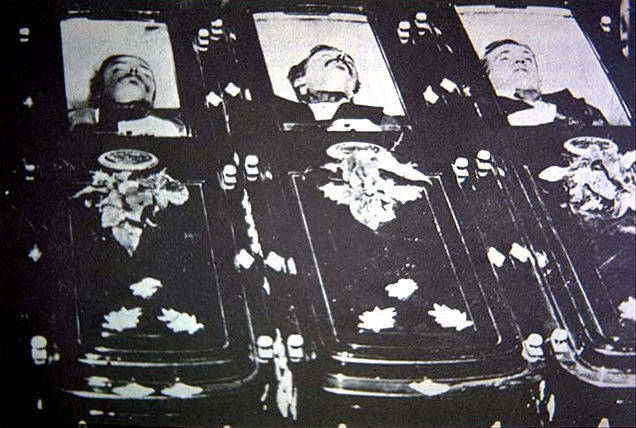 The caskets of Tom McLaury, Frank McLaury, and Billy Clanton, the casualties of the gunfight at the O.K. Corral, October 1881. 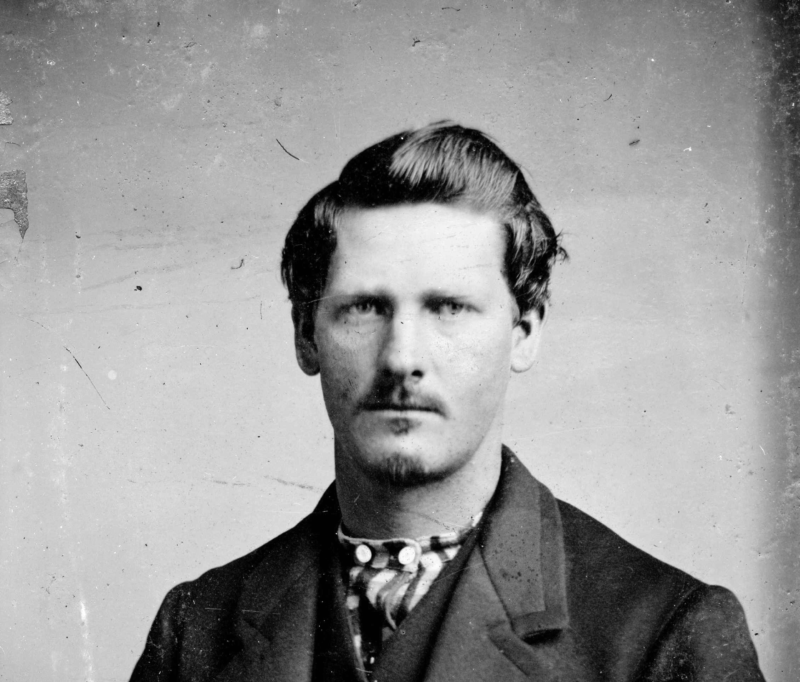 Wyatt Earp in a business suit, circa 1870-1880. Whether Judge Spicer was right or wrong remains an open debate today – but the Gunfight at the O.K. Corral was also not to be forgotten. It was just the start of what would be one of the most brutal chapters in the history of the American frontier. Shortly after the verdict of the O.K. Corral went through, a Cowboy fired a shotgun through the glass door of a saloon and into Virgil Earp’s back. Virgil survived, but his brother Morgan was later not so lucky. In the midst of a game of pool, the Earp brother was fatally shot in the back in a second assassination plot thought to be orchestrated by none other than Ike Clanton. Wyatt Earp responded with a rampage of his own which ended in a warrant for his and Holliday’s arrest. The two fled Tombstone and Earp would spend the remainder of his days wandering the west, eventually settling in California, where he died at the age of 80 in 1929. The gunfight at the O.K. Corral remains an infamous moment in American history. The event perfectly represented the grey area of justice that was apart of the American Frontier, as the shootout was both divisive and controversial with no real winner on either side. The true heroes of the O.K. Corral shootout remain ambiguous, as was the nature of the lawless west, but thanks in part to films such as Gunfight at the O.K. Corral and Tombstone, the Earps and Doc Holliday remain the protagonists of the tale. I love your description of Doc Holliday ~ "gun-slinging ex-dentist" :reminds me of the Radio show host Alex Jones.